So you want to increase your beard growth rate naturally? Great, I want you to know that it's possible, even if your current beard growth rate is bad, even non-existent. So, without further due, let's look at how exactly can you increase beard growth rate. Studies have shown that when men eat low calorie diets for long periods of time, their testosterone levels plummet. And since testosterone is the key male hormone that triggers beard growth in the first place, you should take a hard look at your diet, and determine whether you are truly eating enough to support your endocrine system. But what should you be eating for facial hair growth? If we look at the science of protein, carbohydrate, fatty-acids, testosterone, and beard growth we can end up at a this conclusion: Consume roughly 50% of your calories from carbohydrate (preferably potatoes, other root vegetables, fruit, honey, and pressed-fruit juice), get roughly 25% from protein (meats, dairy products, and especially gelatin which provides collagen for the beard whiskers), the remaining 25% should be coming from fatty-acids (prioritizing saturated and monounsaturated fats over polyunsaturated vegetable oils and margarine, the former have been shown to increase testosterone, latter suppress it). Derma Roller is often used by women to reduce stretch marks and wrinkles. How it works is simple; you take the handle with a roll and tiny needles (usually few millimeters in size) and roll around in your facial hair area. This causes tiny small puncture wounds in the skin surface, which the body then heals by sending fresh nutrient & hormone rich blood into the skin, with a surplus of collagen and keratin as well. Theoretically, this will stimulate facial hair growth in the process (although it has been only studied for scalp-hair; with great results for now). If you want to learn more about how to use Derma Roller for beard, click here. 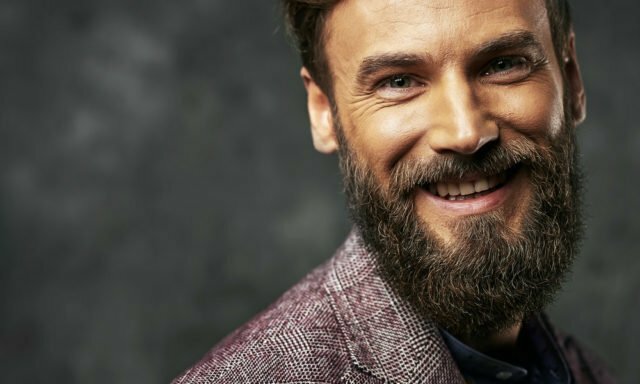 Although most supplements formulated for beard growth are nothing more than scams, there are still a handful of legit beard growth supplements and vitamins out there. The thing is, these don't have the word "beard" in it, and they are not formulated by greedy marketers who look to cash in on men with weak beards. Multivitamin, as many micronutrients (vitamins and minerals) serve as enzymatic co-factors for both beard growth and the production of hormones that support the facial hair (testosterone and DHT). Don't buy those "beard vitamins", instead look for some overall high-quality multivitamins, such as the Thorne 2-Day Multi (I believe this is currently the best one out there). Carnitine, as it has been studied twice in its effect to increase the sensitivity and density of the human androgen receptors, which in turn are special types of cells that bind hormones from blood, and allow the hormones to enter DNA. When that takes place in your face, magically, beard growth occurs. Mucuna Pruriens, Ashwagandha, and Forskolin: these three are currently the only natural herbs with sufficient-enough scientific evidence to support their use as legitimate testosterone boosting supplements. Additionally to just stimulating steroidogenesis in the nuts, Mucuna and Forskolin both serve as androgen receptor activators (Mucuna contains a co-activator protein, Forskolin increases something called cAMP). You got a 11.10% upvote from @booster courtesy of @alikuoppala! @alikuoppala purchased a 37.50% vote from @promobot on this post.